Prepare to be amazed, because you are in for a very special post today… my first ever book review! And I will share with you my experience making a Homemade Breakfast Sausage Recipe, too, all in the same post. 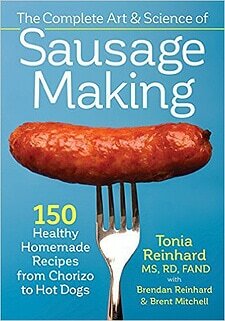 The cookbook I’ll be reviewing is called “The Complete Art & Science of Sausage Making: 150 Healthy Homemade Recipes from Chorizo to Hot Dogs“, by Tonia Reinhard, Brendan Reinhard and Brent Mitchell. A couple of months ago, I was contacted by a publicity manager of Robert Rose Inc., who sent me a copy of the book to be reviewed. And I immediately fell in love with it. As many of you know, I grew up in Montreal, in a very Italian neighborhood. And now for a fact you perhaps did not know – all Italians have green thumbs. Not an exaggeration (tiny exaggeration). It’s genetic (except not really). An Italian-Canadian living in Montreal will usually have a few fruit trees, grape vines climbing some side wall, and maybe even a fig tree in their backyard. Tomatoes would be grown indoors, from seeds, until all signs of frost melted away, at which point they were moved outside into the full sunshine. There’s some routine that comes with a green, thumb, too. Those tomatoes that we worked so hard to grow will be harvested in late summer, and transformed into tomato sauce. Bushels of wonderful bell peppers will be hand-picked and roasted. Beans will be shelled and frozen. And can’t forget the homemade wine, either. 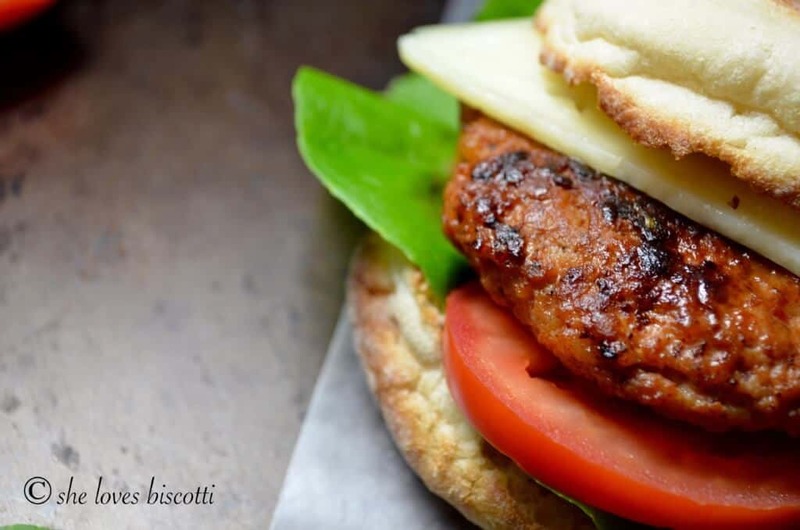 Without a doubt, the end of summer is an extremely busy time for an Italian-Canadian… but there is more! From late fall and into the winter months, we make cheese (check out this creamy homemade fresh ricotta cheese! ), cured meats, and, of course, sausages. My Dad was a butcher by trade, and so you can well imagine all the wonderful sausages and salumi products that were available in my house year round. If you’ve ever had a homemade sausage, you know that it tastes infinitely superior to any mass produced commercial product. And that is why this book called out to me so strongly… making homemade sausages is just what my family did! By the way, though the first sections of the book definitely focus on the science of sausage-making (which is super interesting and which everyone should read!!!!! ), I would just like to clarify that you do not need to be a science geek to appreciate this book. You can jump ahead to the “Sensational Sausage Recipes” section of the book. Believe me when I tell you that you will find value in this book, whether you are a beginner or an expert at making sausages. If the book was not complete enough, there is also a whole section on meal planning. I also appreciated the list of references and the resources found at the end of the book. I wanted to try at least two recipes before I shared my opinion of the book with you. That being said, I really had a hard time choosing the recipes… they all looked so good! 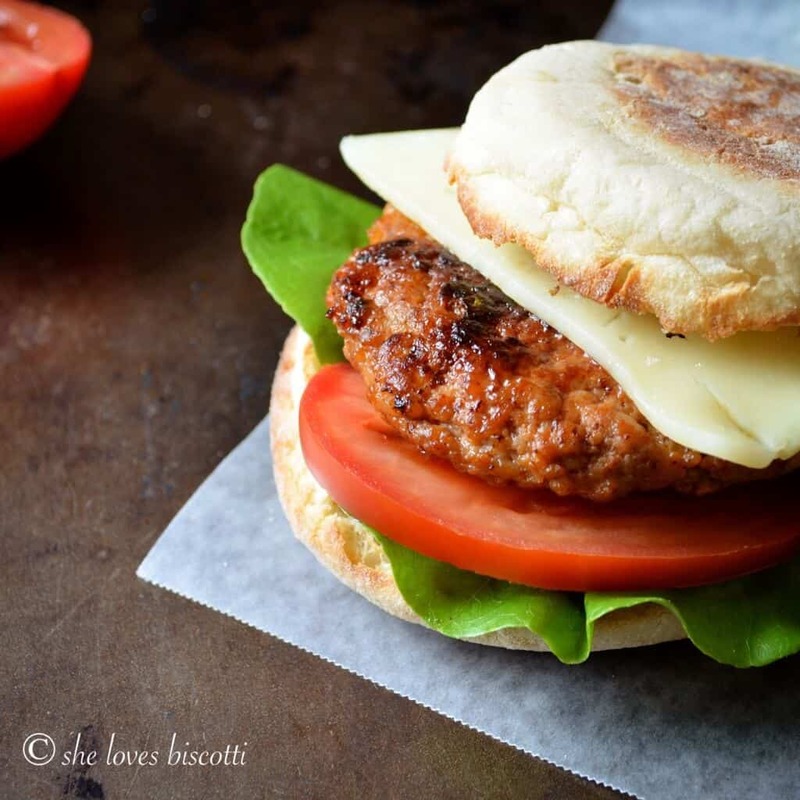 I finally settled on a recipe for Homemade Breakfast Sausage Recipe because, as you may know, I have a soft spot for all things breakfast and brunch. This Homemade Breakfast Sausage Recipe is super easy to make, super convenient, and super grab-and-go. The actual recipe combines the perfect proportions of herbs and spices. You can make the breakfast sausages ahead of time and freeze them if you so choose. They are infinitely healthier than anything you’d find at any fast food place, or in the freezer section of your grocery store. And they are tasty as well as being economical! Can’t sing the praises of this Homemade Breakfast Sausage Recipe enough! It has become the grab and go breakfast for my daughter. You can serve them casually in a breakfast sandwich with a few slices of tomato, a slice of cheese and some leaf lettuce. They would also be great as part of a special breakfast …perhaps to celebrate Father’s Day with! 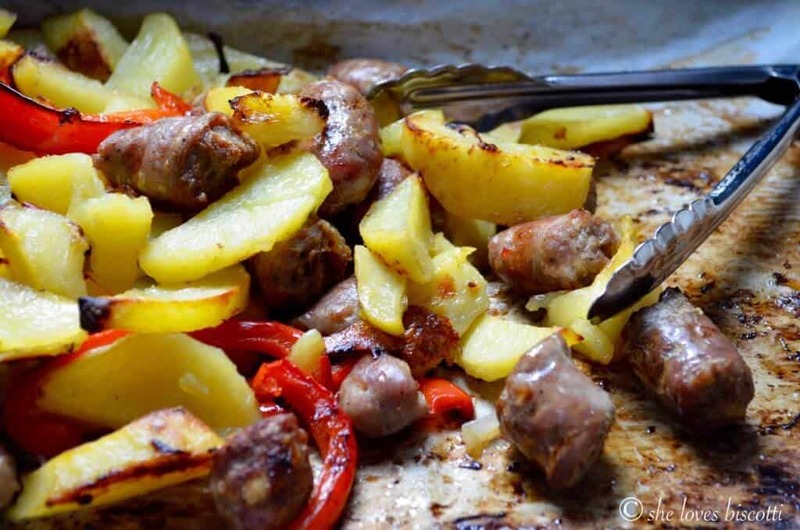 Another recipe I tried was the Sweet Italian Sausage, complete with fennel seeds, sweet paprika and a secret ingredient! I will leave you with a teaser… this was our Saturday supper. I will definitely be sharing how it all comes together soon. Re-heat the sausage patty in the microwave. 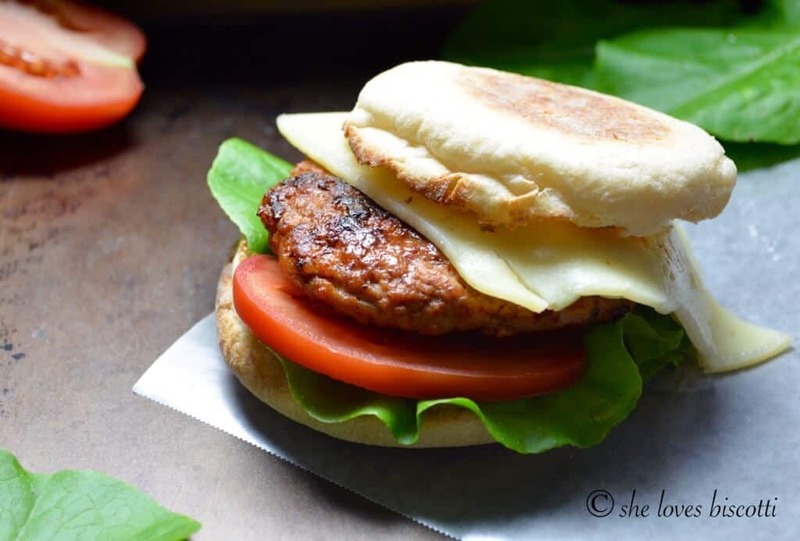 Place the sausage patty, tomato, lettuce and cheese in the English Muffin. 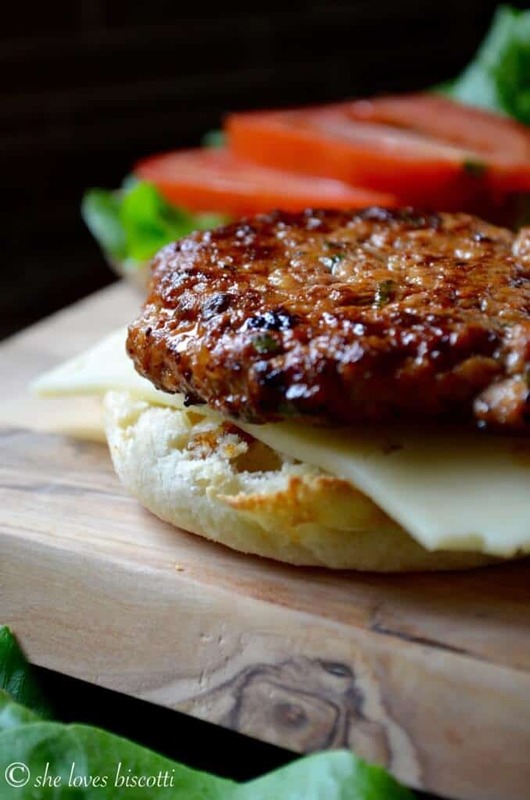 Recipe for the Breakfast Sausage Patty can be found in the book entitled: "The Complete Art & Science of Sausage Making: 150 Healthy Homemade Recipes from Chorizo to Hot Dogs". Disclosure: I have been provided with a complimentary copy of the cookbook:”The Complete Art & Science of Sausage Making: 150 Healthy Homemade Recipes from Chorizo to Hot Dogs” by Tonia Reinhard, Brendan Reinhard and Brent Mitchell (Published by Robert Rose Inc). I have not received any monetary compensation for this review. Views and opinions expressed in this post are entirely my own.